We have been overwhelmed by the support everyone has given the Rob Stephenson Trust, which has now raised more than £100,000. Never in our wildest dreams did we think we would reach this amount of money. Everyone has been fantastic in their response, from people who knew Rob as a baby to those who have only met him once or twice. 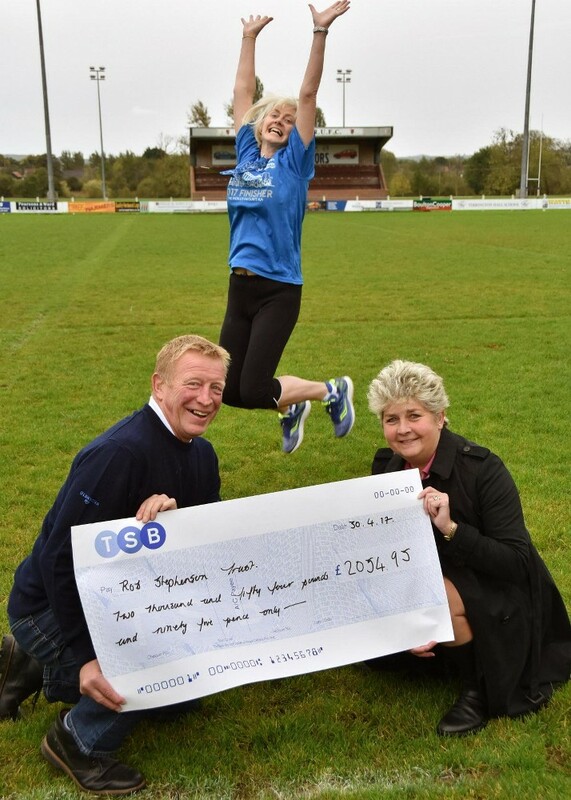 People across the country and the world have taken to the idea of a family that is all about giving back to sport. In some respects it has been harder to give money away locally as the need in underdeveloped countries has been overwhelming. One of the best things about the project has been the enthusiasm shown by young people, who often get bad press about how they are selfish. We have had countless young people haul huge bags of cricket equipment to India, football kit to South Africa and rugby kit to Brazil and many other places to give to orphanages and charities. In some it has awakened a philanthropic element to their personality that they did not know was there and therefore has given them something to take forward in life. Next year we are sending two young people out to extend the work of the charity. One to Thailand to an orphanage to take out more sports equipment and clothing and to spend time with the children. Another is going out to Kenya with another batch of equipment and to educate them is how to play a variety of sports. We did not expect the charity to ever attract the amount of attention that it has done and its success has been down to our friends and family who have supported it unstintingly over the last 18 months. The range of people has been immense form Newcastle University, young farmers, rugby clubs, the wider agricultural community and the huge number of family and friends. Without this support we could not have achieved this tremendous total. Our goal is to use this money wisely to enhance life experiences for younger people through sporting participation. Rob will not be able to travel the world, like so many young people do, but in a small way with the trust we can see him travel by helping sports clubs locally and globally improve young people’s lives. Raising this amount is unbelievable, but as a family in everything we do the goal is to bring people together and share quality time if this also helps raise funds then fantastic as we say ‘laugh live learn play.